In addition to shopping around for mortgages you should also take a close look at your credit history. Do you have any credit report errors or negative items on your credit report? If you have errors you need to contact the credit reporting companies and ask that they remove the errors so it does not affect your borrowing ability. If there are negative items on your credit report you should discuss those items with a lender or a credit counselor to see how they affect your ability to borrow. One or two minor negative items on your report should not cause too many problems but they will reduce your credit score. Larger negative items like unpaid credit card bills, bankruptcies, collections notices and more are harder to recover from and your chances of getting a good mortgage will be more difficult. Often times minor negative items are easily dealt with by time, letting the minor negative items “age off of your credit report” by paying on time and paying all minimums and your credit score should recover. If you do have negative marks on your credit meet with a lender who has credit expertise or ask for a referral to a credit counselor so they can help guide you towards rebuilding your credit score. Shopping for a mortgage and checking over your credit report should be done at least 3-4 months before you are ready to start looking for a home. In 3-4 months’ time minor negative credit items have less effect on your credit score and by going through the mortgage process ahead of time you know what price range of homes you can truly afford. It is not good practice to shop for homes that you cannot afford since your mortgage preapproval is below those homes you looked at. Now that you know what price of home best fits your budget through the mortgage prequalification process you can start the actual home search online. You can start your home search on your own without the assistance of a real estate agent, just check out one of the many local real estate listing websites in your city. If the home is a for sale by owner you can even complete the purchase without the use of a real estate agent but you would be advised to hire a real estate attorney to help you with the process so you don’t end up living in a new home you really don’t own. Where the homes you are interested are listed with a real estate agent it only makes sense to get an agent to help you in the process since the commissions used to pay for the buyer’s agents services will come out of the seller’s side of the transaction. By having your own real estate agent represent you, you have someone working in your best interests and not the interests of the sellers. See tips on how to interview a Realtor. Once you have settled on a home and want to make an offer you will need to follow up with the mortgage lender you chose and get a Mortgage Pre-Approval letter which basically states to the seller that you are able to borrow the amount of money stated in your offer to purchase their home. While not required a pre-approval letter is advisable since it shows the seller the seriousness of your offer and that you can afford to buy it. Most good mortgage lenders are able to get a pre-approval letter to you with a very short turnaround time. If you can’t get the pre-approval when you are ready to submit the offer, just have your agent add a note to the offer that the pre-approval letter will be delivered separately. Your offer will contain many of the terms and conditions that go along with the offer. The terms and conditions must be written in correctly, this is why it is a good idea to have a real estate agent to help prepare the offer or to have an attorney prepare the offer. Most real estate offers contain at least the minimum condition of the buyer being able to obtain an appropriate loan to the buy the house when borrowing is part of the offer. If you make an offer and it does not have the condition of being able to obtain a loan as part of buying the home you could still be on the hook contractually even if your loan falls through! While you may not be able to afford the home since you can’t borrow money to buy it, that does not mean the seller cannot turn around and sue you for damages. It is important to repeat, have a real estate agent or an attorney prepare the offer for you so you are not stuck being forced to buy a home or stuck having to pay the sellers damages due to incorrectly filling out the offer. Additional requests made as part of the offer include a home inspection (including termites and radon depending on your location), lead paint inspection (depending on the age of the home), appraisal requirements, terms of occupancy, what stays with the house (i.e. fixtures, appliances, extra items…), who pays for closing costs, title work, home warranty and more. As you can see there is a lot to go wrong if the offer is not written correctly. Even if you have professionals looking over your written offer you should still read it over and make sure it has the terms you want it to have. It is better to make sure everything is said upfront and the deal is closed cleanly than having the stress of wondering when a bad situation will get resolved because something was left off of the offer. One last part of the offer that should go to the sellers as part of the offer package is an Earnest Money Check. The earnest money, while not required, is a showing of good faith interest in buying the home. It simply conveys to the sellers that you are serious about making your offer. The earnest money while technically not a down payment will get credited towards the final purchase price of the home. If the seller accepts your offer without any changes to any of the terms and conditions you are one step closer to getting into your new home. If the seller rejects your offer outright or makes a counter offer then you are back to the negotiating table attempting to find mutually agreeable terms. A counter offer by the seller treats your original offer as rejected. As a result the seller cannot go back and change their mind by accepting your original offer. You as the buyer also have the right to accept the seller’s counter offer as presented or you can change the terms thus creating a counter offer to a counter offer. Each counter offer treats the prior offer as a rejection that cannot be brought back unless both the buyer and seller agree. If the buyer and seller never agree on the terms there is no contract to purchase the home in place. 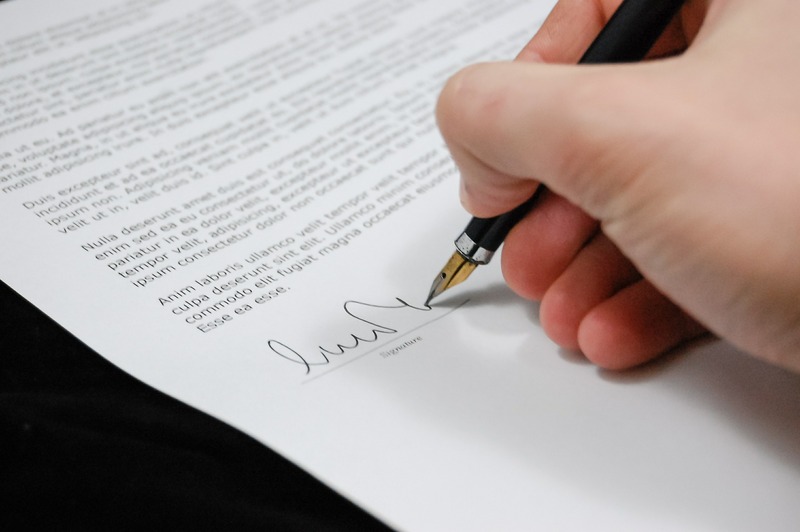 If the buyer and seller agree on the terms and both sign the document containing the latest offer terms then both parties are legally bound to the contract. If the purchase contract contained language requesting a home inspection then the buyer must arrange for a home inspection to happen within the timeframes allowed in the purchase contract. Usually the buyer requests 7-10 days to arrange a home inspection and then 3-5 days after inspection to submit a request for repairs to the seller. The time frames may vary based on the local laws, regulations and practice of where the home is located. If there are no issues or minor issues on inspection that the buyer will address themselves and no repair requests are presented to the seller then the transaction will move onto the next step. If there are inspection issues that the buyer does want repaired or addressed by the seller then the seller has a number of options available. The seller can perform the repairs as requested and may be required to present receipts/invoices as proof of completion. Alternatively the seller can reject to perform any or all of the repair requests and/or offer some reduction in price to keep the sale on track. If the seller refuses to make any repairs and offers no reduction in price the buyer is able to cancel the offer to buy the home. While the seller can also make an offer of reducing the price to address repair issues, the buyer is usually not required to accept the reduction in price. The terms of the purchase contract will be the guide on what the buyer and seller are able to do. The home appraisal is a critical aspect of the home purchase process. Most standard home purchase contracts condition the sale upon the home meeting the appraisal requirements. In order to meet the appraisal requirements for a mortgage the home must be valued by an independent appraiser for more than the amount of the mortgage loan. The mortgage will be denied if the home is appraised for less than the mortgage amount. The home purchase can still go through if the buyer will pay more money upfront or the seller agrees to a price reduction and the mortgage amount requested is reduced. Providing that the appraisal shows the home will mean the value requirements of the mortgage company you will be able to proceed towards closing. This does not mean you are out of the woods yet as the funding of the mortgage can be pulled any time prior to closing and for reasons that are within your control. As part of your mortgage your lender will require you to obtain homeowners insurance and will require proof of the insurance before or at closing. If the mortgage lender is happy that all requirements are met then funding of the mortgage loan should be approved on the date of closing. 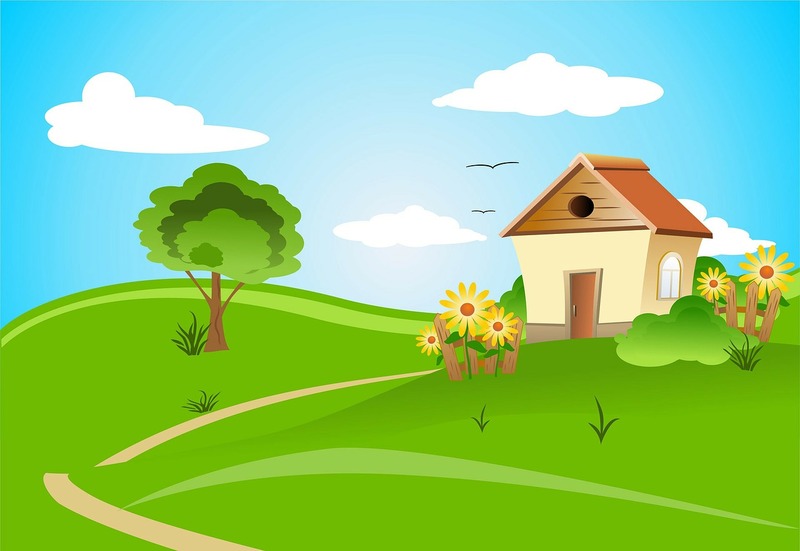 As part of the home purchase the seller may offer a home warranty, the buyer can ask the seller to pay for a home warranty or the buyer can purchase their own home warranty. A home warranty generally runs for a one year period and covers the repair or replacement of items such as water heaters, HVAC systems, appliances and more. 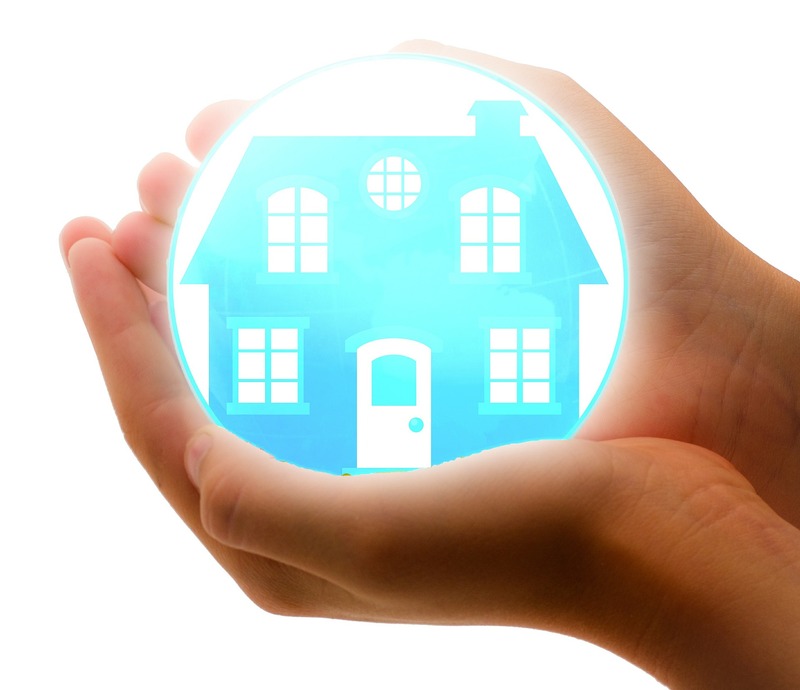 Home warranties generally do not cover major issues like the roof, foundation, or house structure. Coverage depends on the terms of the warranty so make sure to read the warranty documents. Home warranties usually come with a deductible and some offer additional coverage at an additional cost. It may be wise to get a warranty at least for one year to cover your newly purchase home so that any sudden repair issues will not cause you financial difficulty. If you are borrowing money to buy your home you will be required to buy a title insurance policy for the benefit of your mortgage company. You will also be given the option of buying title insurance for your benefit. Title insurance basically is an insurance policy that protects you against potential defects in the deed of the property. If some deed transfer in the past was not recorded there is a possibility that the person whose ownership was not recorded could come back and request a court to return the property to them since there never was a valid transfer signed by them. Title insurance policy for the home owner is usually not that expensive in relation to the entire amount you are borrowing and paying for the home and protects you in the event there is a title defect in the deed. For more information on title insurance be sure to check out my Title Insurance podcast. The final walkthrough is the last chance for the buyer to look over the home before signing all closing papers and taking ownership of the home. During the walkthrough the buyer should be looking to make sure that items that are supposed to stay with the home after closing (dishwasher, refrigerator, other fixtures and items requested in the purchase contract) are still there. Buyers should also evaluate the home for any excessive damage that may have been caused by the process of the seller moving out of the home. If there are any major issues that are considered a deal stopper then those issues should be brought out now before any paperwork is signed to transfer ownership of the home. After the transfer is complete it is more difficult to get the sellers to agree to any repairs or to repay for or replace any fixtures that were supposed to stay. On the day of closing usually you will meet with your agent, the seller’s and their agent and a closing processor. If the buyers or sellers cannot be there at the same time it may be possible for one party to sign their documents before the other sign, but usually the preference is for everyone to sign at the same time. When you attend the closing make sure you bring government ID cards and bring any money in the form of certified checks if you are putting money down as part of the home purchase. Prior to putting your home on the market you should be going through a number of steps to make sure your home is properly prepared to sell. These steps include repainting rooms and possibly the entire house (if needed) with a neutral color; making sure all visible repair needs are taken care of; tuning up major systems in the home like water heaters, HVAC systems, garage door openers; improving curb appeal; making sure appliances are in good working order or replacing old appliances with new appliances; having a pre-listing home inspection done in order to catch and address any issues that could cause a buyer to run the other direction and cancel their offer. By properly preparing your home up front you position your home to be the best it can be and as a result buyers will appreciate. By having a pre-listing inspection you get to see what issues the home inspectors will look at and will be able to address those issues prior to listing your home for sale. The major advantage of repairing the issues up front is you are able to do it on your time schedule which means you can shop around for the best contractor performing the work at the best rate. When you are under the deadline of a closing date you will not have the luxury of time to allow shopping around and getting the best price for home inspection requested repairs unless the buyer agrees to it. Once you have prepared you home for sale then comes the actual part of listing your home on the market for sale. You do have the option of choosing a discount broker versus a full service broker but realize that with a discount broker you may not get the full support you need to sell your home. Full service brokerages will assist you with every step of the home selling process. By having a professional real estate agent help you, you can concentrate on more important things like finding your next place to live without having to worry about the minor details of selling your current home. Prior to listing your home for sale a real estate agent will present you with a number of different documents that must be filled out and signed by you. These include documents such as the listing agreement with a time frame your home will be listed with the particular agent/brokerage, state required consumer guides about the real estate agency relationship, a form with affiliated business disclosures, lead based paint disclosures and information, property disclosure information and other brokerage or state required documentation. Many of the forms will require signatures and those signatures can be done electronically if the real estate brokerage you choose is setup for that. avoid the potential of a lawsuit after you have sold your home. If there is something that was not properly disclosed on the disclosure form the possibility of a lawsuit resulting in money damages being paid to the buyer or even worse being forced to take back the home and return all money to the buyers does exist. 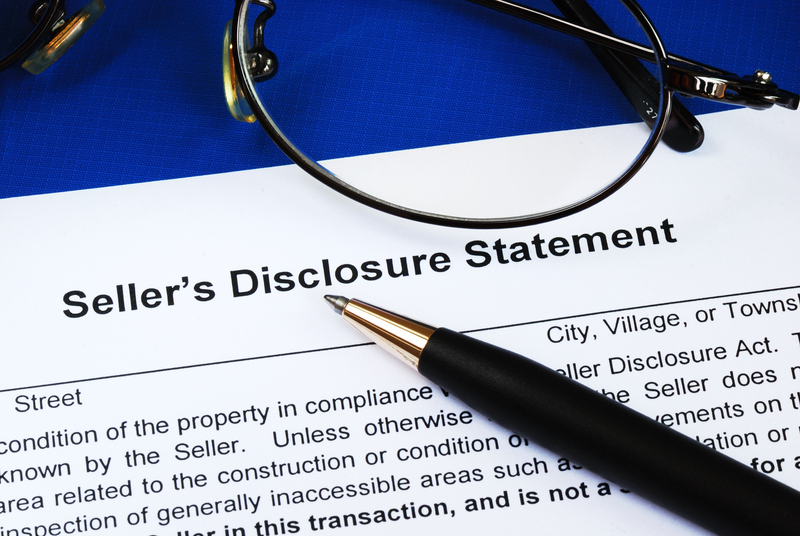 When it doubt on what you should be filling in on the property disclosure form ask a real estate attorney for their opinion. Once an offer comes in on your home you usually have a limited time to review and accept, reject or counter the offer. Any offer that comes in on your house need not be accepted regardless if it is above the asking price or below. You should review the offer with your real estate agent and decide on how you wish to proceed. Letting the offer remain unsigned is considered a rejection of the offer after the time limit on the offer has passed. If you chose to accept the offer as is without modification then you will need to sign that you have accepted and have your real estate agent forward the signed copy back to the buyer’s real estate agent. Once the offer is signed and sent back to the buyer you are in contract with the buyer to sell your home to them after all conditions (if any) have been met. Any counter offer on the buyer’s offer is treated as a new offer to the buyer and a rejection of the original offer submitted by the buyer. What this means is that if the buyer rejects your counter offer the seller is not allowed to then go back and accept the buyers original offer unless the buyer agrees to reopen that first offer. It is a good idea to discuss with your real estate agent your counter offer to make sure what you wish to counter with is in good practice and not likely to make the buyer rethink buying the home. Something like asking the buyer to waive inspections in your home as part of your counter offer will send up big red flags in their mind so try not to do it. Most offers come with contingencies clauses in them that require something to happen before the home can be closed upon. The most common contingency clauses in a buyer’s offer are the contingency of home inspection, appraisal contingency (see Appraisal section below for more information) and for buyer being able to obtain proper financing to buy the home. A home inspection contingency allows the buyer to bring in a home inspector (usually at the buyer’s expense but this can be negotiated in an offer) and conditions the home sale completion on there being no major repair issues or the repair issues being addressed. The financing contingency clause allows the buyer to back out if they cannot obtain the financing needed to buy your home. The buyers must make their own best efforts to obtain financing. If it can be shown that the buyers actively sought to not pursue financing in order for the deal to be cancelled the seller may be able to sue the seller for damages due to lost time while the home was off the market. If you find yourself in such a situation consult with an attorney to find out which options will work best for you. 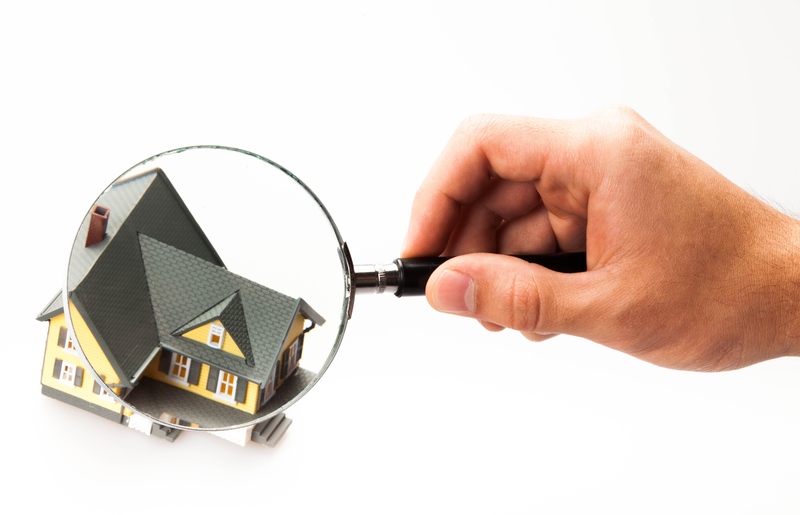 A home inspector will usually spend two to three hours looking over major aspects of the home and providing a report to the buyer detailing the general condition and any issues they may have found. If repair issues do come up during home inspection the language in most purchase offer documents allow the buyer to request repairs. The buyer can choose to request repairs or may in some cases decide to cancel the offer if the repairs needed show major issues with the home. As a seller you can refuse to do the repairs and let the buyers take the home subject to the current home condition. The buyers can also chose to cancel the deal as a result of the refusal to make the repairs requested. A seller can also do the repairs based on the terms of the repair request addendum or they can negotiate a lower final price of the home in lieu of making the repairs. Many offers to purchase a home include an appraisal contingency. Appraisal contingencies are very common where the buyer is borrowing money to purchase a home. Banks generally will not lend money to purchase a home that is in excess of the actual value of the home. So if a home is appraised at $200,000 and the requested loan amount for purchasing the home is $225,000.00 either the deal will be cancelled or the homeowner can reduce the purchase price in order to have the amount borrowed be under the amount of the home appraisal. 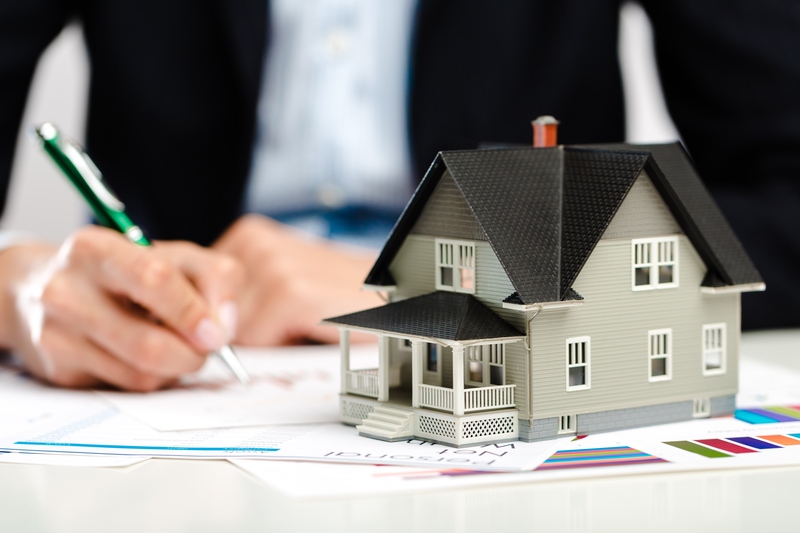 Alternatively the buyer can pay money out of their own pocket in order to make the amount of their loan less than the appraised value or they may wish to negotiate with the seller so that both the seller and the buyer add some extra money in order to make the loan amount lower than the appraised value. If you find yourself in a situation where the loan amount is higher than the appraised amount you should discuss with your real estate agent and mortgage lender what are the best options for you. Closing day for the sellers is similar as it is for the buyers in that you will be signing legal documents completing the sale of your home. Bring proper forms of government ID and the keys and any garage doors openers to the home that day to give to the buyers. Most sellers who are selling their house for more than they owe should get a check from the closing company representing the difference between the mortgage loan payoff and the final sales price minus any fees, costs and commissions due on the deal. 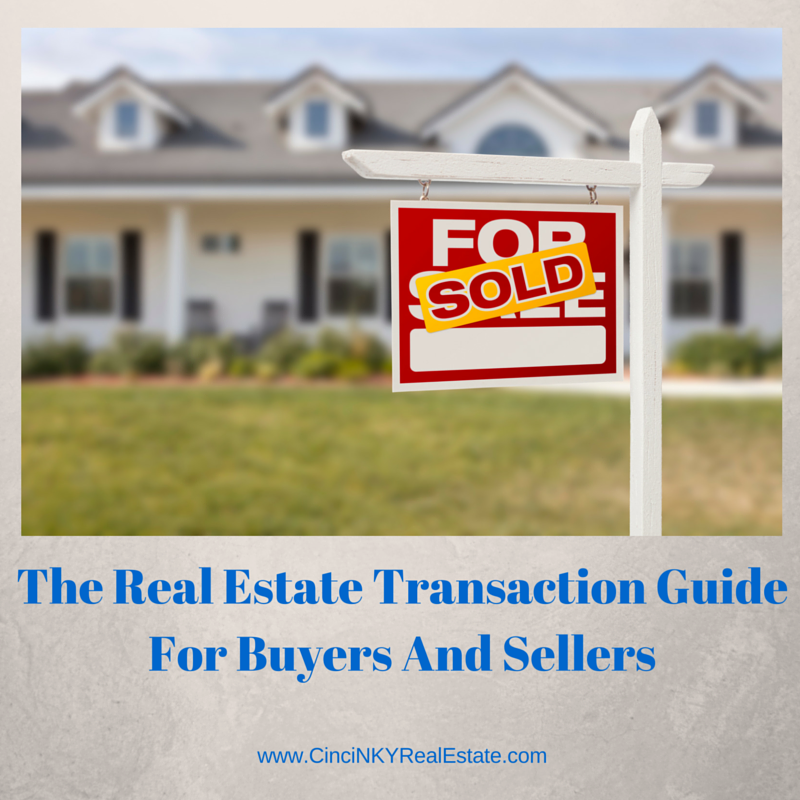 In the event you are selling your home for less than the mortgage amount you may be required to bring a check to pay off the mortgage in order to allow the deed to transfer to the buyers. Prior to closing the closing company should have prorated all taxes, insurance, mortgage payments and mortgage interest between seller and the buyer and will credit each side accordingly. You should receive a closing statement prior to the closing day detailing how the numbers will break out. Review that document and ask questions if you are confused about why certain numbers are the way they are as once all closing documents have been signed it will be harder to get errors corrected. The process of buying and selling a home is process that has many moving parts to it. Miss one of the parts and your entire home sale or home purchase can fall apart and require you going back to square one. By working with professionals you are putting yourself in a better position to have a successful transaction. About the author: The above article “Comprehensive Guide To Buying Or Selling A Home” was provided by Paul Sian. Paul can be reached at paul@CinciNKYRealEstate.com or by phone at 513-560-8002. If you’re thinking of selling or buying your investment or commercial business property I would love to share my marketing knowledge and expertise to help you. Contact me today!